Thursday was our last full day in the DR, and it was a great one. We had the privilege of spending most of the day with three LDP students (Leadership Development Program – if you have been reading along you’re clued in that Compassion likes the acronyms). This program is actually in the process of transitioning into something new as Compassion feels like there is a more effective and inclusive way of reaching the same outcomes, but it was still great to meet these students. Hanging out around Chris’ Dominican diggs. 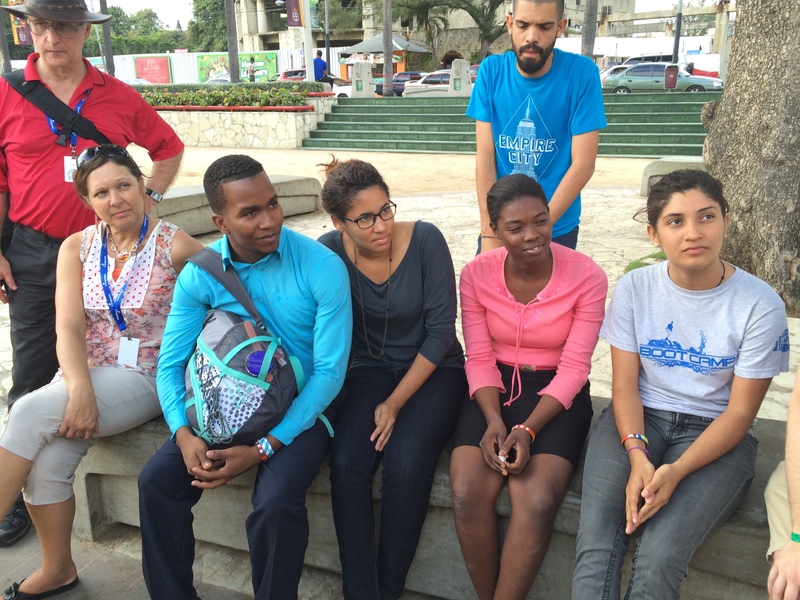 We got to hang out and hear their stories – they all grew up in difficult situations and grew and learned tons through the CDSP (sponsorship) program which is the bulk of what Compassion does. When nearing the end of that program, they applied to be LDP students, which basically means that they have a significant commitment and continued support to study and go to university as well as some other responsibilities. They are very bright individuals and it was exciting to hear how their lives were changing and growing through their studies (something I understand as I continue taking seminary classes through Regent College!). After hearing their stories and firing all of the questions at them we could think of, we hung out and just enjoyed each others company. It was great to decompress a bit with them and then have a great lunch before heading to the Old City with them to do our one little piece of tourist activity before heading home. We stopped in the market for a few souvenirs for friends back home and learned more of the history of the Dominican as we passed the First Church of the New World and Christopher Columbus’ house. They’re all in pretty good condition considering the age. There is one moment and one idea that stands out to me about Thursday. The moment was on the bus headed to the Old City where I pulled out the ukulele and we started singing some songs together. There were some musicians who have become deer friends on this trip, and it was so much fun just to sing together. Despite the fact that the LDP students weren’t singing along in English, the spirit on the bus was clearly unified and it was awesome. The idea was a bit more complex, but let me take a stab at it. God has made us for relationship with Him and others. There are amazing people doing amazing things in partnership with Compassion, and relationship is so good. 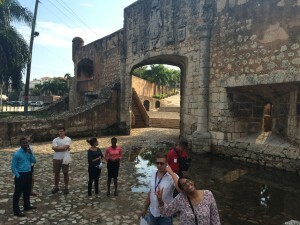 I think of the LDP students we met and how their stories will stick with me, but also our trip coordinator on the Dominican side, Yrahisa, and her amazing spirit and grace. Our translators, Marcel, Diana and Josiah who did such an amazing job not only helping us communicate, but helping us process and becoming friends as we experienced these things together. Every one of the team members who came from across Canada and how we ate long meals together and were at the beach until 1 AM talking through things. The conversations and laughs and stories we shared deepen my love for God and others. The smiles and stories of kids who have relationship with their sponsors and the joy that it brings, or the heart wrenching stories of those who haven’t received a letter in years and the questions that come along with that. We are made for relationship with others, and opening ourselves up takes effort and can cause pain. This wasn’t an easy trip, the things we saw weren’t easy to take in and process. 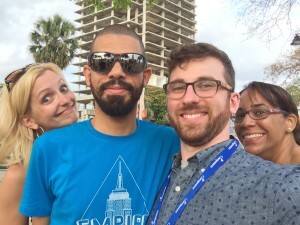 I don’t know how we’ll be changed or even how to tell people things (I barely know how to write this blog), but I do know that this experience was so good because of the relationships that were built. Thank you to everyone who was a part of this experience. Just a few of the fantastic people who made this trip so good. Maybe you don’t have an opportunity to go on a trip like this in the near future, but I bet you’ve got the opportunity to engage in deeper relationship somewhere. Sponsor a child (or another) through compassion, and write them. Talk to your neighbour or the barista you see every day at starbucks. Get to know the quiet person who works down the hall from you. Build relationship and open yourself up to the pain and the joy of other’s stories. It is so worth it.